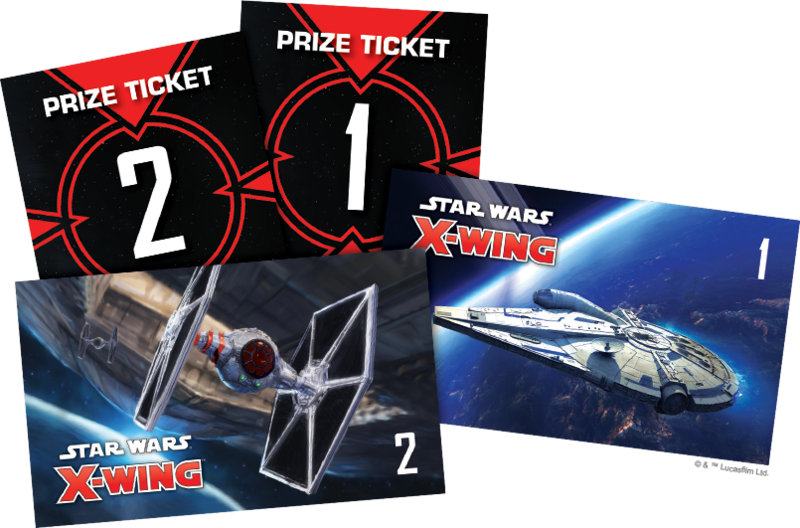 The X-Wing™ System Open Series features some of the game's greatest prizes. System Open attendees can compete for these prizes in the System Open main event, as well as in side events. Prizes refresh twice per year. Below, you'll see the prizes making their System Open Series debut with the System Open in Gdansk, Poland on November 24 – 25. The main draw of each System Open event, the System Open tournament features prizes for participation, prize tickets for each round you complete, and exclusive prizes for top competitors. 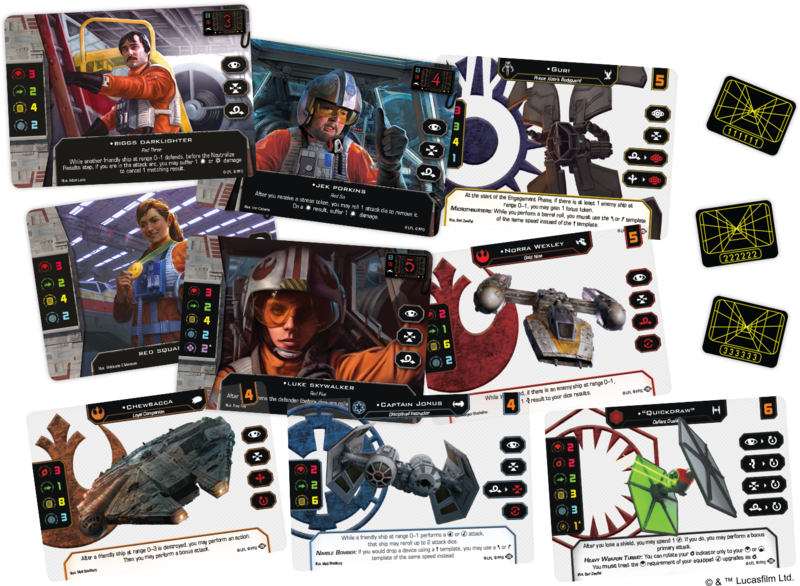 Each participant in the System Open Tournament receives an alternate art damage deck, designed to match the year's Red Squadron theme. 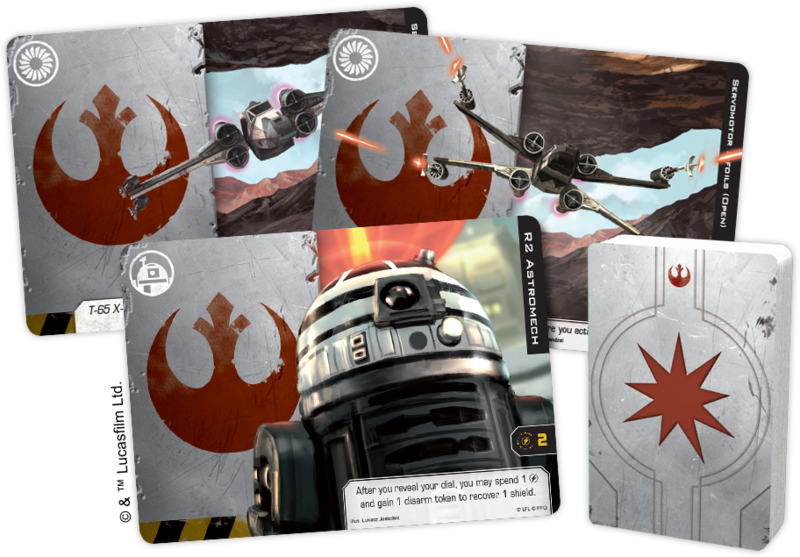 In addition, each participant receives a Red Squadron frame S-foils card with extended art on both sides, as well as an extended art R2 Astromech card. Finally, participants will earn prize tickets for each game they finish. Lose your game, and you earn one prize ticket. Win the game, and you earn two prize tickets. These prize tickets can be redeemed for items from the Prize Wall. 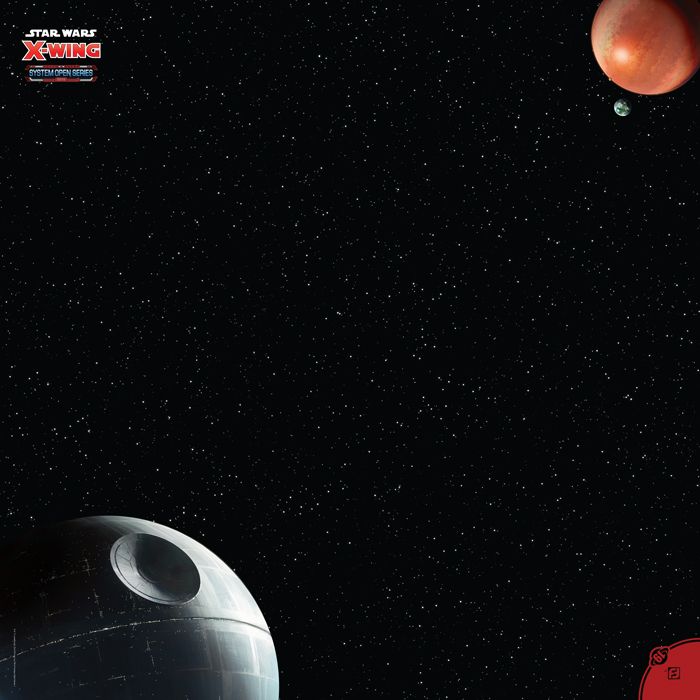 System Open attendees who choose to upgrade their tickets will receive a custom game mat depicting the Death Star's approach to Yavin IV. 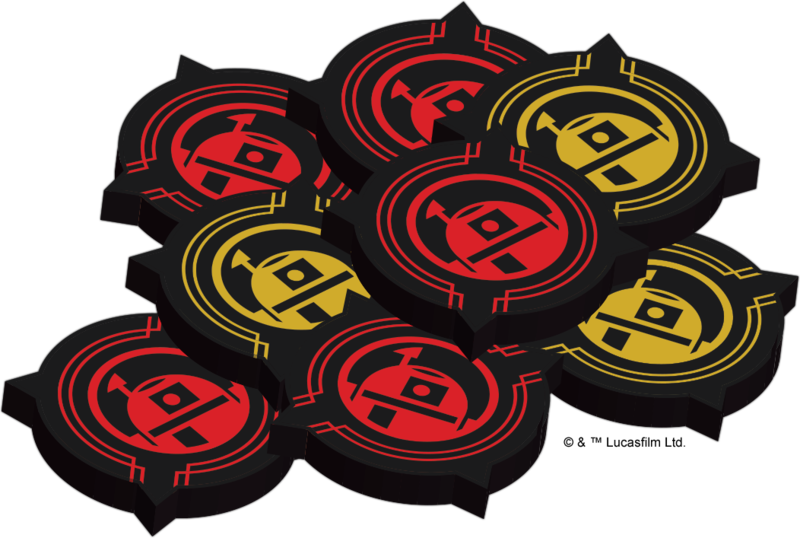 The Top 32 players in the System Open Tournament each receive a set of eight acrylic charge tokens designed to evoke an R2 astromech. 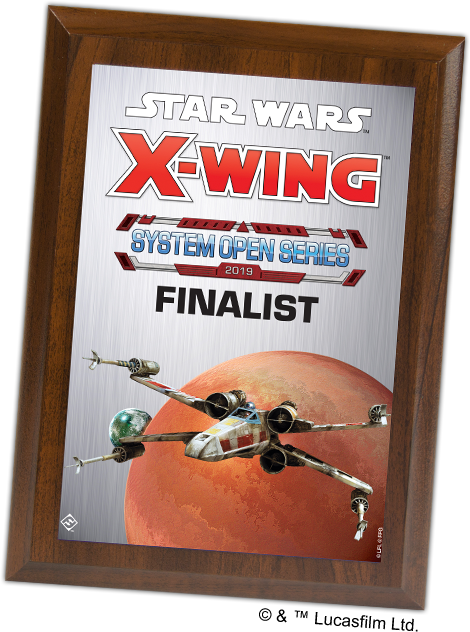 The Top 16 players in the System Open Tournament each receive a commemorative coin, designed to look like the medal featured on the Red Squadron Veteran ship card, and a set of acrylic maneuver templates themed around the ships and pilots from Red Squadron. The thematic design on the primary side of each template is complemented by the clear center lines and positional marks on the reverse side. 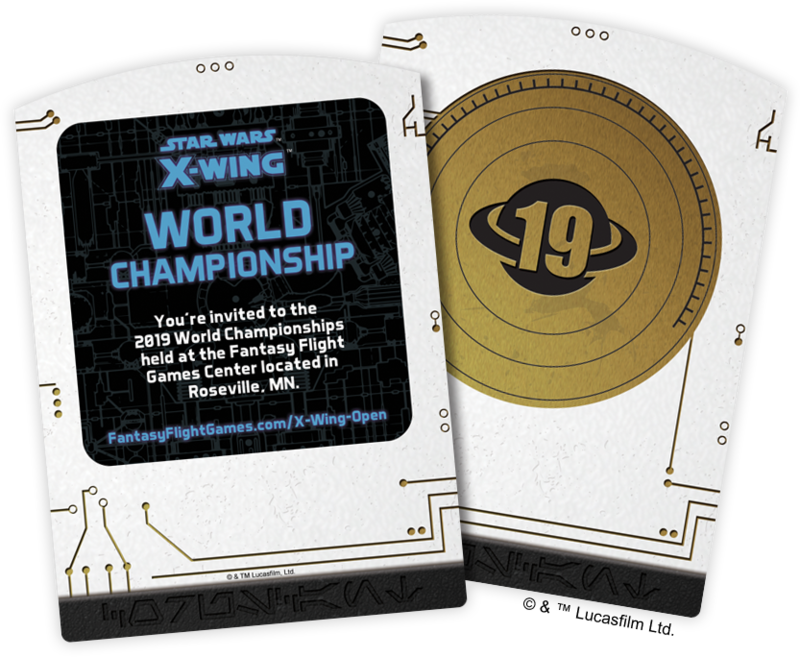 The Top 8 players in the System Open Tournament each receive a highly coveted invitation to the X-Wing World Championships. In addition to all their other prizes, each System Open Tournament Runner-Up claims a beautiful finalist plaque. Each System Open Champion wins a fantastic set of Champion prizes to add to an already-impressive prize haul. 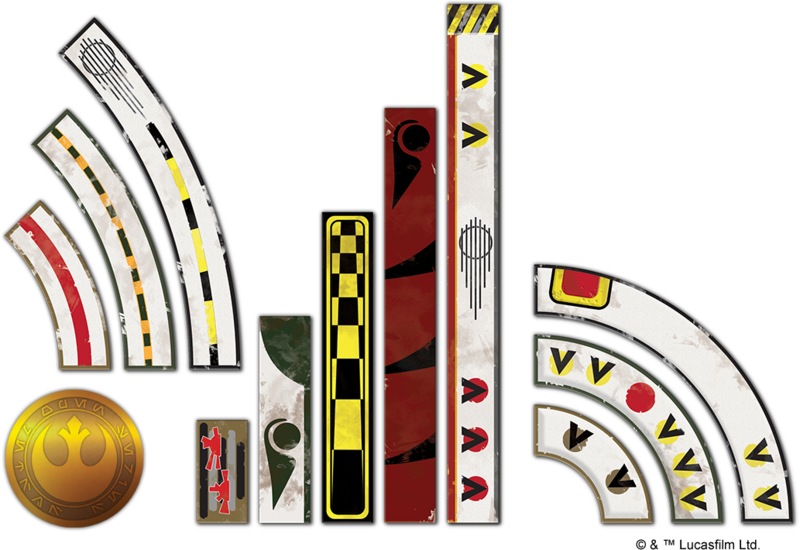 First, each System Open Champion receives an invitation to the Coruscant Invitational. 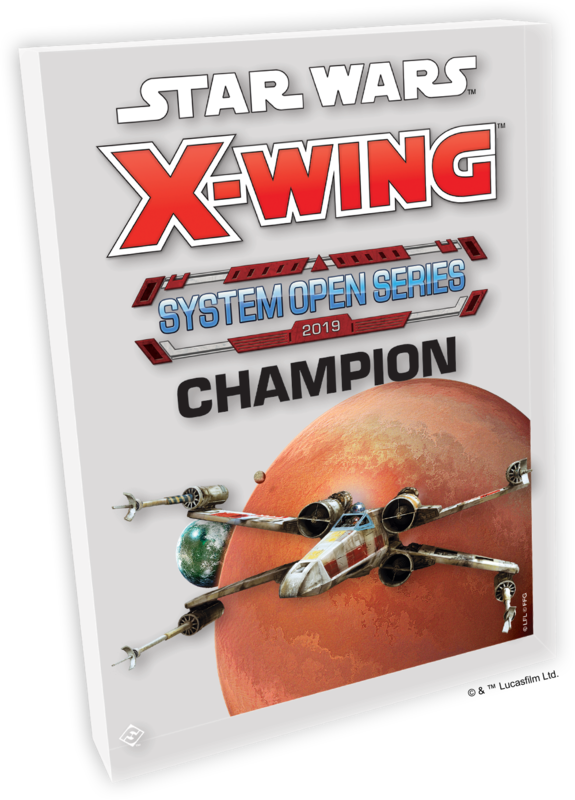 To this, each System Open Champion adds free flight and lodging to the Coruscant Invitational and X-Wing World Championships. Finally, each System Open Champion wins a beautiful glass trophy to keep and display as evidence of their success. Each System Open Series event features a Hyperspace Qualifier that begins shortly after the participants in the System Open main event begin their Day 2 single elimination rounds. Participants earn prize tickets for their participation and compete for invitations to the X-Wing World Championships. Each participant earns a Red Squadron frame S-foils card with extended art on both sides. Additionally, participants earn one prize ticket for each game they lose and two prize tickets for each game they win. Participants in a Hyperspace Qualifier can choose to upgrade their entries and receive a copy of the Yavin IV game mat available as an optional upgrade for the System Open main event. Any player who manages to go through all six rounds of a Hyperspace Qualifier undefeated earns an invitation to the X-Wing World Championships. Hangar Bay Pods are casual, eight-player side events that organizers may schedule at various points throughout the System Open Series event. At least one of these events will be scheduled alongside the System Open main event's Day 2 elimination rounds. Players earn one prize ticket for participating in a Hangar Bay Pod and an additional one prize ticket for each of their wins. Three rounds of Swiss play yield a single undefeated player. That Hangar Bay Pod Winner earns a double-sided plastic ship card with the Resistance's Cobalt Squadron Bomber on one side and the First Order's Zeta Squadron Survivor on the other. The prize tickets that players earn by participating in System Open Series events can be redeemed for a variety of prizes from the event's Prize Wall. X-Wing Second Edition is a tactical game of ship-to-ship combat, challenging players to take control of powerful starfighters and face off against each other in fast-paced space combat. Featuring stunningly detailed and painted miniatures, X-Wing Second Edition recreates the most exciting space battles of the Star Wars saga. Select your crew, plan your maneuvers, and open fire!